We provided you a quick overview of our Saskatoon commercial real estate industrial, retail and office markets last week. Let’s now take a closer look at the industrial sector. A most interesting fact is that there were only five building permits issued between January 1st and July 6th, 2016 within the Marquis Industrial area (the largest industrial area in Saskatoon). Fortunately, most of those permits were issued for owner occupant buildings. I say fortunately because the vacancy rate in this area at the end of the 2016 second quarter has increased to 21.2 per cent with 651,437 square feet of available space. We are not likely to see significant industrial spec. building until vacancy starts declining. 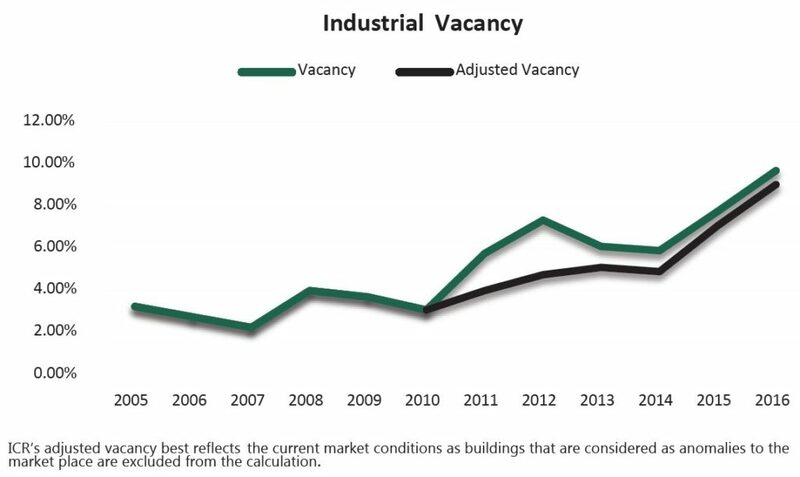 There are currently 64 parcels of industrial land that have been sold but sit vacant. The City of Saskatoon land department has 15 parcels or 39 acres available for sale. The price per acre varies depending on location but averages around $500,000. Landlords have been increasingly willing to offer tenant lease incentives. The average asking net rental rates for existing property range from $5.50 to $12.50 and $7.50 to $14.00 for new inventory. It is expected that the city’s resource based economy will gain momentum in early 2017 at which time the industrial market should follow suit. If you’ve been considering an expansion of your industrial business, there has never been a better time to shop!